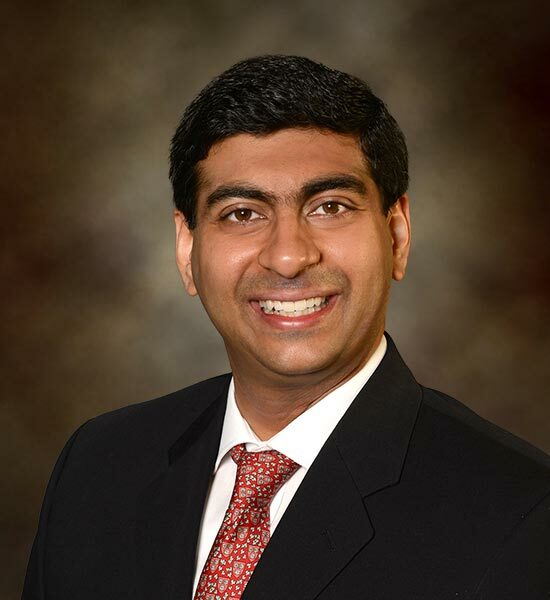 The complex nature of gastrointestinal disorders led Dr. Sumeet Tewani to pursue advanced training in endoscopic procedures to treat them, and he uses those skills to care for patients at Rockford Gastroenterology Associates (RGA). Dr. Tewani was born in Washington, D.C., and grew up in New Jersey. He earned his combined Bachelor's Degree in Medical Sciences and his Medical Degree (MD) at Boston University. Dr. Tewani completed his residency in Internal Medicine and fellowships in Gastroenterology, Hepatology and Advanced Endoscopy at Beth Israel Deaconess Medical Center and Harvard Medical School in Boston. He met his wife, Asha, at Beth Israel Deaconess Medical Center, where she worked as a transplant dietitian. Gastroenterology as a specialty appealed to him for many reasons, including the complex nature of advanced endoscopic procedures and training, the ability to care for patients with chronic conditions, and the continuity of care that occurs between those areas. Another motivating factor was losing an uncle to pancreatic cancer. "Seeing him decline from his usual health to a state of significant illness very quickly was difficult," Dr. Tewani recalled. "I believe that's part of the reason I pursued an additional year of training in advanced endoscopy and why I am interested in complex liver, biliary and pancreas conditions, and GI cancers." During his training, Dr. Tewani kept in touch with fellow RGA physician Dr. Chandrashekhar Thukral, who also completed his residency and fellowship at Beth Israel Deaconess Medical Center and Harvard Medical School. Dr. Thukral helped persuade Dr. Tewani to visit Rockford and interview at RGA. After completing his training, Dr. Tewani knew he wanted to join a quality, independent GI practice known to provide excellent care for patients with an academic approach, and he liked that RGA was linked academically to the University of Illinois College of Medicine at Rockford. Asha also has extended family in the Midwest, so RGA seemed like a good fit, from a family perspective. "The interviews (at RGA) sealed the deal," Dr. Tewani recalled. "You could see the camaraderie here, the way that the doctors cared about their patients, about the practice and about each other. RGA has been a single specialty, large, independent group for many years - it is a model for GI practices across the country. That made it easy to consider Rockford and RGA. The team here blew me away. Nowhere else could compete." He joined the RGA team in 2014, bringing special interests in treating liver, biliary and pancreatic diseases, GI oncology and Barrett's esophagus. Dr. Tewani's work at RGA is 60 to 70 percent procedure based, which includes general endoscopy procedures such as colonoscopies, and advanced therapeutic and interventional procedures such as endoscopic retrograde cholangiopancreatography (ERCP), endoscopic ultrasound with fine needle aspiration (EUS-FNA) and endoscopic mucosal resection (EMR). Those advanced techniques assist with diagnosing and treating digestive disorders, primarily involving the bile duct and pancreas. "Finding a 'spot' on the pancreas can be terrifying for patients and their families, yet many of these abnormalities are benign and not cancerous," Dr. Tewani added. "EUS-FNA allows us to carefully examine the abnormal area, obtain samples of tissue or fluid, and give our patients peace of mind. And if can we can detect and diagnose pancreatic cancer at an earlier stage with EUS-FNA, we can help improve patient survival." The advanced technology of endoscopic ultrasound also allows Dr. Tewani to drain large pseudocysts of the pancreas, which are fluid collections that can develop after the pancreas has been inflamed (acute pancreatitis). In the past, such patients would have needed complex surgeries for treatment. Dr. Tewani also brought radiofrequency ablation (RFA) to the Rockford region and RGA to treat Barrett's esophagus, which is a change in the normal lining of the esophagus that results from chronic acid reflux. Caucasian men ages 50 and older are most at risk of developing this condition, which can lead to the development of esophageal cancer in some patients. Barrett's esophagus patients are regularly monitored by their physicians for any changes in their condition. 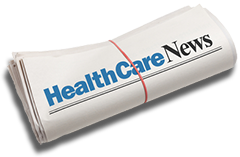 "We are recognizing it more often, and we are better about diagnosing and treating it early," Dr. Tewani noted. RGA works to educate primary care providers about Barrett's esophagus. Patients with five years of frequent heartburn - meaning heartburn that occurs more than once a week - or who have been diagnosed with long-term gastroesophageal reflux disease (GERD) should be screened for Barrett's esophagus. Additional risk factors include being overweight, smoking, hiatal hernia and family history. "We have a very academic, intellectual approach to taking care of our patients," Dr. Tewani explained. "We want to offer our patients the same care they would expect at large academic centers like Harvard, without having to leave the area." Away from work, Dr. Tewani is an enthusiastic hockey fan. He developed an interest in the sport while at Boston University, and he enjoys both college and professional hockey. He is also a fan of Boston sports and Indian and South Asian culture. He lives in Rockford with his wife Asha and their two daughters.